Subject: receipt for the delivery of livestock (and oil?). 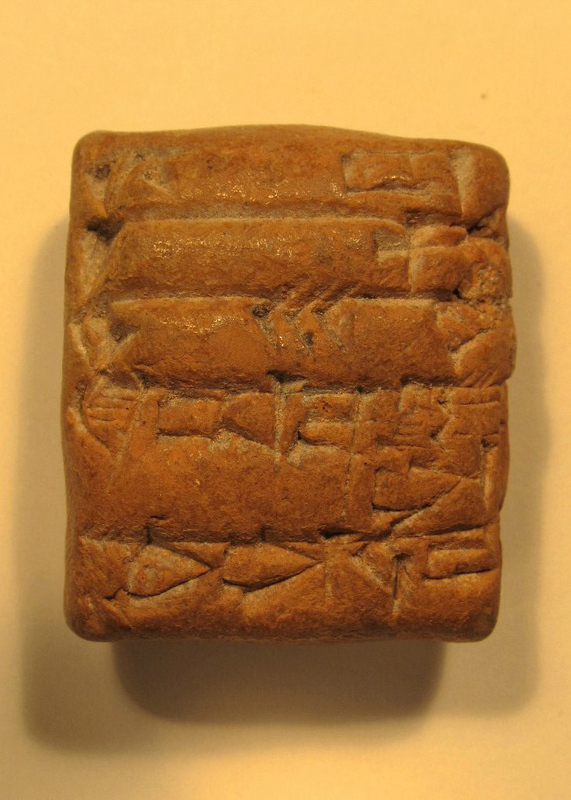 For other examples of cuneiform tablets found in the same area and dated to the same period, check out the Cuneiform Digital Library Initiative at UCLA. They have 3 tablets from the region in their digital library that are housed at Charles University in Prague. 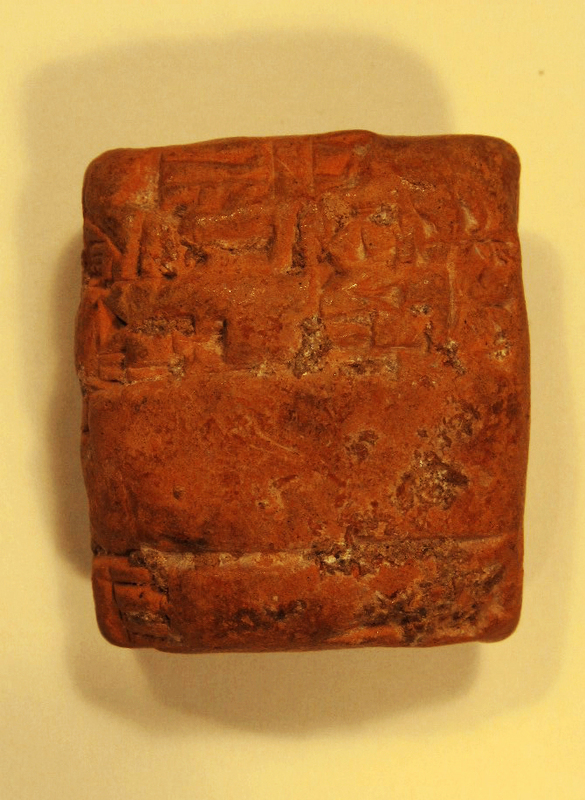 The Oriental Institute of the University of Chicago published the 499 tablets in their collection in 1998, and can be downloaded from their website. Lluís Feliu and Adelina Millet published a paper titled “An Ur III Tablet from Drehem and Three Clay Cones of Lipit-Estar” in Aula Orientalis; the issue can be downloaded here. Transliteration and translation by Dr. Lisa Cooper.